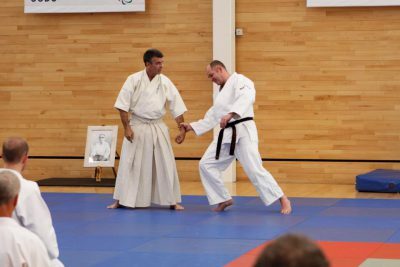 At the Meikyokai Dojo we teach the Japanese martial art of Yoshinkan Aikido within the London borough of Bexley in Kent; we are an independent dojo which is affiliated to the Yoshinkan Honbu through the AYF. 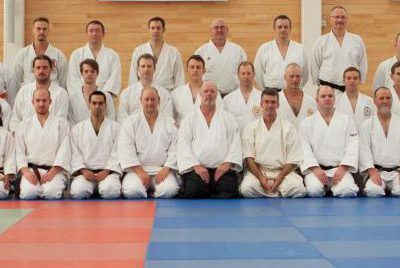 We offer classes which cater for all level’s of ability as well as for the more experienced martial artist looking to train in Aikido. 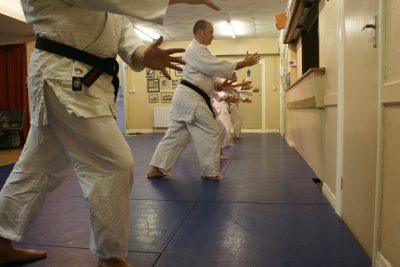 We do not teach students techniques for fighting, violence or aggression, rather we offer methods for controlling and minimising these types of behaviour no matter how large or powerful the person is. Your first class is FREE, ring us on 07912 090637 or contact us to arrange your visit! Throughout the year we attend and host a number of seminars throughout the UK. All you need to start is the will and determination to try something new. So contact us today and try the first class for free. We train on a Tuesday and Thursday evenings within the London Borough of Bexley.